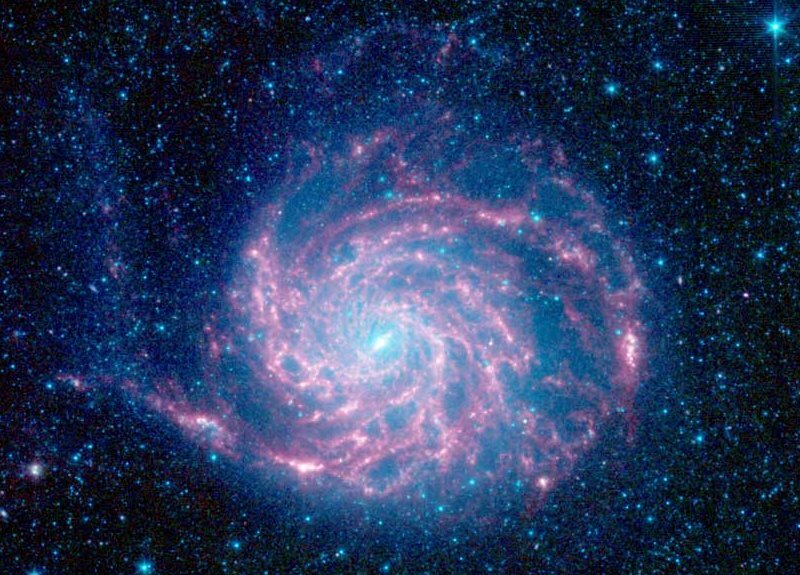 Explanation: Big, beautiful spiral galaxy M101 is one of the last entries in Charles Messier's famous catalog, but definitely not one of the least. About 170,000 light-years across, this galaxy is enormous, almost twice the size of our own Milky Way Galaxy. M101 was also one of the original spiral nebulae observed by Lord Rosse's large 19th century telescope, the Leviathan of Parsontown. Recorded at infrared wavelengths by the Spitzer Space telescope, this 21st century view shows starlight in blue hues while the galaxy's dust clouds are in red. Examining the dust features in the outer rim of the galaxy, astronomers have found that organic molecules present throughout the rest of M101 are lacking. The organic molecules tracked by Spitzer's instruments are called polycyclic aromatic hydrocarbons (PAHs). Of course, PAHs are common components of dust in the Milky Way and on planet Earth are found in soot. PAHs are likely destroyed near the outer edges of M101 by energetic radiation in intense star forming regions. 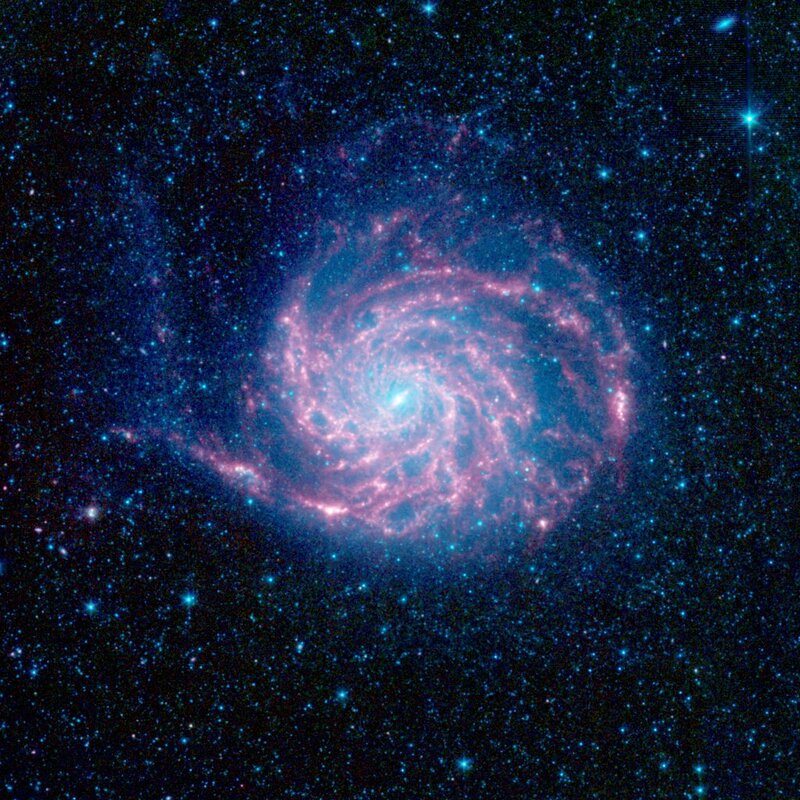 Also known as the Pinwheel Galaxy, M101 lies within the boundaries of the northern constellation Ursa Major, about 25 million light-years away.